LAN NET Solutions, LLC (LANNET) provides structured cabling installation solutions that support existing and emerging technologies for voice and data applications. LANNET is in the business of supplying its customers with a high quality, honest answers to all of their cabling needs. 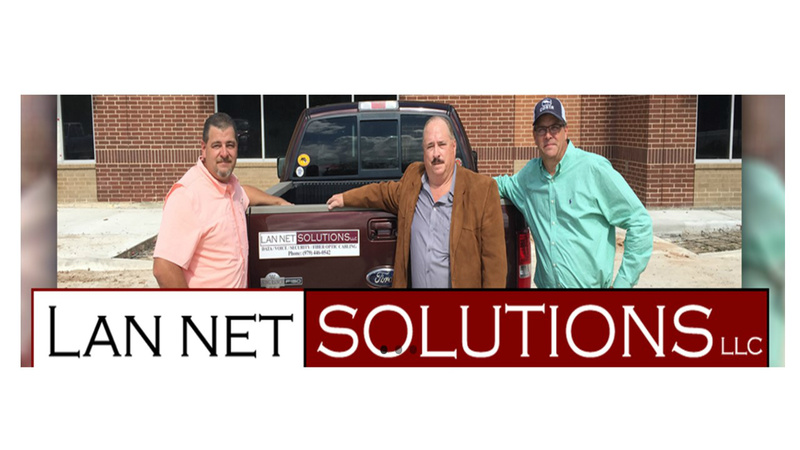 LAN NET Solutions, LLC was founded in order to service customers with quality design and installation of cabling systems in the commercial marketplace. The company has been built on the more than 40 years of combined experience of the owners, Mr. Jim Bringolf, Scott Hooks and Lonny Hooks. LANNET concentrates on the Texas market, but can also provide services throughout the Southwest. Our primary business activity includes the design, installation, and maintenance of Voice, Data, Fiber and Security Cabling Infrastructure. LAN NET Solutions, LLC offers many of the most reputable and requested manufactures in the industry. Structured cabling installations that support existing and emerging technologies for voice, data and security applications. Whether you need voice, data, or fiber optic cabling, we provide the highest quality installation and practices available. The engineering, design, and installation of category 3, category 5E enhanced, category 6 and 6A cabling. We provide a complete line of cabling solutions. Wiring that connects your phone system to each individual workstation throughout your office space. Single mode, multi-mode, indoor/outdoor applications. Fiber can significantly extend the length of a fast/Ethernet network. Testing and Certification of Installed Wiring with State of the Art Analyzing Equipment.